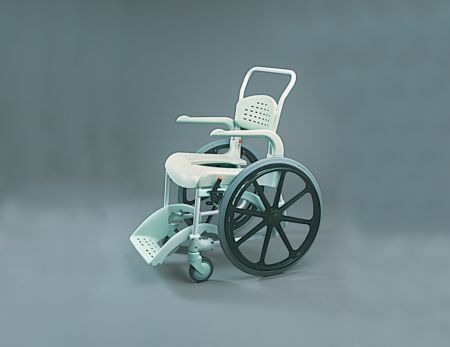 Despite the budget-conscious price, this shower wheelchair comes with a wide range of useful features ranging from comfortable, easy-clean padding to a removable section at the front of the seat for easier personal cleansing. The armrests swing upwards to facilitate transfer to the side and there is a hand brake for stability. Overall, this is an excellent self-propelled shower chair. It allows for independence but ensures safety and comfort at the same time.